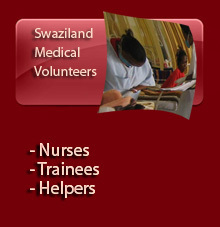 Swaziland Medical volunteers offer a programme where volunteers can help the people of Swaziland and at the same time experience the culture and hospitality of the Swazi people. This project is based within the Raleigh Fitkin Memorial Hospital, one of the 5 major regional hospitals in the country. RFM, as it is locally known, is run by the Church of the Nazarene. 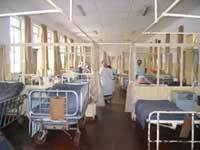 It has 350 beds with an occupancy rate of 65-70% per month. 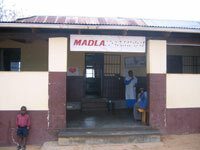 Around 400 clients visit the outpatients department on a daily basis. It provides medical, surgical, pediatrics, obstetrics, emergency and rehabilitative services. You will work closely with resident RFM doctors and other health professionals during your time at the hospital. Volunteers will be encouraged to work across all of the wards though the greatest shortages of skilled staff are in maternity, emergency, internal medicine and pediatrics. 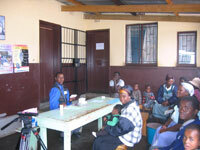 Work undertaken will be dependent on the skills and qualification of the volunteer. For students, there will be staff to work closely with you. You will not be left alone to carry out any medical/nursing duties. Prior to arrival, Dr Pawelos will discuss with volunteers for RFM where best their skills and expertise can be utilized. Accommodation will be provided at Myxo’s Place, situated 6.5km from Manzini, in an indigenous forest. It is a double storey residence consisting of a living area downstairs (including fully equipped kitchen) 2 dormitory style bedrooms and 3 private bedrooms upstairs and 2 toilets and 2 showers There is also a balcony upstairs for relaxing and watching the spectacular sunrise. All bedding is provided. Dinner and breakfast will be provided daily however volunteers are expected to assist with food preparation. The emphasis will be on local cuisine though special dietary requirements can be accommodated with advance notice. You will need to organize your own lunch. Transport to and from RFM will be provided either by a bicycle or driven. In country orientation will be provided on arrival by Myxo. kaPhunga is renowned for its stunning sunsets and breathtaking vistas and is of historical importance in Swazi and Zulu folklore. Many of the locals still live in accordance with many long-held traditions, practicing time-honored Swazi methods for farming and traditional architecture and living within customary Swazi culture. Accommodation will be in traditional beehive huts and there will be the opportunity to interact with the friendly locals as well as visit a rural clinic. This is a unique opportunity that has been rated by others travellers as one of the highlights during their time in Swaziland. Total cost is R10,500.00 for 3 weeks. All the fees should be paid in full one month in advance. Payment can be made by credit card. Card details must be sent via email to confirm the booking or calling +268 6044102 for security reasons. Bank Transfers can be done into the following Bank details. The sole cell phone network provider is MTN. Sim cards and air time are readily available at numerous outlets. PS:Myxo can arrange for you a very cheap way to call home and be in touch with your family. 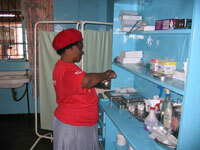 Whilst much of Swaziland is malaria free, anti malaria medication is recommended for the lowveld and Mocambique. It is available in the country. The official currency is the lilangeni (the plural is emalageni). It is pegged to the value of the South African rand and rands (with the exception of coins) can be used in Swaziland and Mocambique. There are numerous ATMs and rands can be obtained from local banks. An additional, optional week can be spent touring the Kruger Natioanal Park (South Africa) and Mozambique. All interested individuals should book ahead for the Kruger Park tour and all the details of the tour can be sent on request. This extra week is not included in the costs of the volunteer programme.